Europe’s southern borders are at the forefront of the European refugee crisis, often receiving thousands of refugees each week. As such, any help that can be offered will be much appreciated. Always contact organisations beforehand, rather than just turning up, as they may have enough volunteers at that particular time. If an organisation does not need any more volunteers at the present time, then contact another organisation in different region. Macedonia and Serbia, particularly, are often looking for more people. If you speak Farsi or Arabic or have medical skills then you will be in very high demand. Be prepared to work very hard for long, unsociable hours. Please do not turn up at camps, without having contacted anyone first, and start distributing water/food/toys our of the backs of cars. This often causes a stampede and can lead to safety issues for refugees and volunteers alike. If you’d like to volunteer in Greece, there are a number of ready made resources for those going for the first time. Join the Volunteering in Greece facebook group. Read the regularly updated Greece volunteers info doc. Visit http://www.greecevol.info/ for current volunteering opportunities. See below for some ongoing volunteering opportunities in Greece. 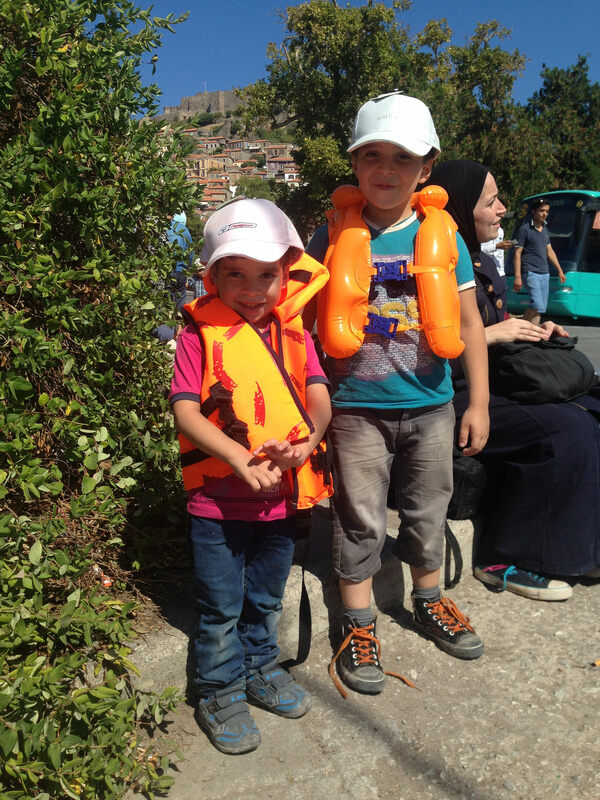 CalAid brings help, hope and dignity to refugee and displaced people across Europe. They need volunteers to join them to help continue their efforts providing aid to 13 refugee sites across the Epirus region of Greece. Volunteers will be helping sort through donations in the charity’s warehouse in Ioannina and distribute food, clothing, hygiene products and other goods to refugees across western Greece. Volunteers are provided accommodation in Ioannina, but have to cover their own food. The nearest airport to Ioannina is Preveza, alternatives are Thessaloniki or Athens. Syrian and Iraqi refugees arriving in Lesvos. Taken by Ggia. Samos Volunteers welcome short and long-term volunteers. Volunteers are needed to work in the warehouse, in the RIC (refugee camp) and outside of the camp. To volunteer, visit their website and facebook page. North Greece volunteers, supported and administered by Help Refugees are looking for long term volunteers to assist in a variety of diverse roles from carrying out food and clothing distributions, to supporting hygiene, shelter, psychosocial support, medical care and information services. See their website and facebook page for more info. Join the Volunteering in Turkey facebook group. Read the Information for Volunteers in Turkey google document. Included in this is a list of organisations working in Turkey. Macedonia is one of the main routes up to Serbia and until the border with Greece closed, witnessed a large number of refugees passing through. It’s one of the poorer countries in Europe and has had limited help from NGOs, relying mainly on volunteers. The charity Legis has also been providing support to refugees and takes on volunteers. Visit their website here. You might also want to visit the Help the refugees in Macedonia facebook page. Serbia has had a number of refugees pass through the country, a number of whom remain there and are in need of support. To find out how to get involved, visit the Refugee Aid Serbia facebook page. 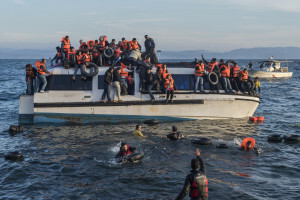 MOAS (Migrant Offshore Aid Station) operates in the Mediterranean, rescuing those attempting to reach Europe by boat. Volunteers principally need to be experienced crew members or qualified rescue swimmers. Find out more here. Red Cross Italy – If you’d like to volunteer with the Italian Red Cross, you must first enrol and take part in a special training course. Find out more here. Naga is an Italian charity that provides support to refugees, asylum seekers, irregular migrants, Roma and Sinti. In order to volunteer, you must first attend their training course, which takes place twice a year. You do not need to have prior experience in any particular field to attend. Find out more here. Medicins Sans Frontieres (Doctors Without Borders) work in Italy and have a number of volunteering opportunities, both within the medical field and outside of it. Find out more here. The JNRC (Joel Nafuma Refugee Center) is a day centre for refugees in Rome. They provide a range of support, of which volunteers are an integral part. Their website is in English and can be found here. The introduction to this page was written by Peggy Whitfield, who spent time last year volunteering in Europe. The original article is featured online at The Wild Times. Read it here. If you know of a volunteering opportunity in continental Europe that is not mentioned above, please get in contact and let us know, so that it can be added to the site.